As any Detroit resident or recent visitor will attest, signs of a much-heralded revitalization are underway in Detroit’s downtown and midtown areas. Efforts to breathe life into the neighborhoods are evident as well. One such neighborhood transformation is underway in Morningside, a neighborhood on the east side of Detroit. The area is bounded by Harper Avenue and I-94 on the north, Mack Avenue to the south, East Outer Drive and Whittier Avenue on the east, and Alter Road and East Outer Drive to the west. One of the more notable landmarks, the historic—1930s era—Alger Theater, has a chance to be transformed into a community hub for arts, education, and community enrichment. Friends of the Alger Theater is a non-profit organization working to activate this historic Detroit gem as a community arts, culture, and entertainment venue. This long-neglected movie palace is one of only two remaining intact and unchanged neighborhood theaters in the city of Detroit (the second is—of course—the lovingly restored Redford Theater, which has helped restore a once derelict block). 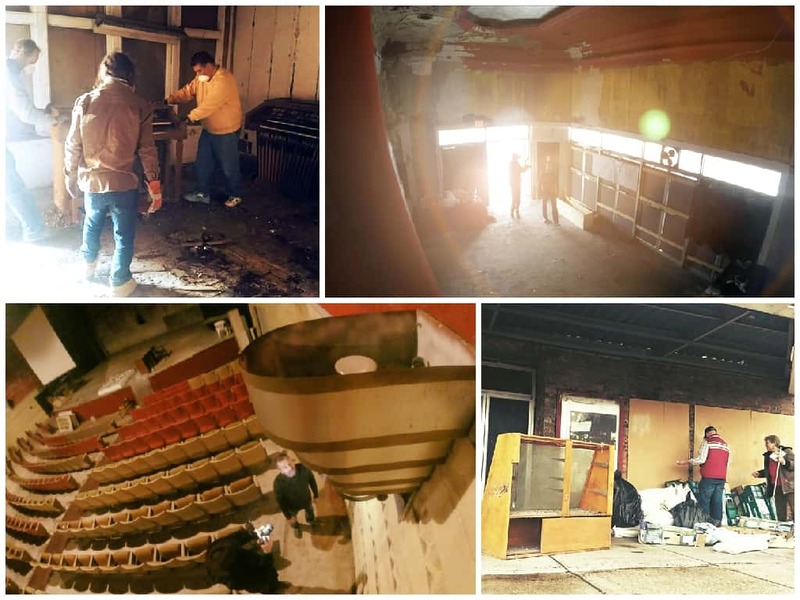 The mission of Friends of the Alger Theater is to renovate the historic building to create a regional destination for community education and for the production and experience of art. So why bother with the Alger Theater? Invigorate East Warren Avenue, a major artery serving Detroit’s East English Village, Morningside, Osborn, and Cornerstone Village neighborhoods. Provide enhanced community arts, education, and cultural programming. Stimulate capital improvements and drive commercial and residential investment along East Warren Avenue and in the surrounding neighborhoods. Provide an all new community space with its roof-top deck. Revive a historic east side theater as a destination for movies and events. It’s proven that breathing life into a community hub like the Alger Theater leads to a significant return. Ongoing public events held at the theater will drive positive awareness of the neighborhood. By bringing people from the surrounding regions to the area on a regular basis (once a week or even just once a month), the Alger Theater can make citizens more aware of the unique amenities that exist within the neighborhood. An added benefit is that the venue will engage local merchants, artists, and entrepreneurs, helping to make these business people champions for further revitalization. The success of Detroit’s revitalization can only happen block by block. The non-profit Friends of the Alger group is in its last days of soliciting “crowd funds” for its efforts—and help is desperately needed. Donate today!